Using international examples, leading scholars present the first critical analysis of cluster theory, assessing the cluster notion and drawing out, not only its undoubted strengths and attractions, but also its weaknesses and limitations. Over the past decade the ‘cluster model’ has been seized on as a tool for promoting competitiveness, innovation and growth on local, regional and national scales. However, despite its popularity there is much about it that is problematic, and in some respects the rush to employ ‘cluster ideas’ has run ahead of many fundamental conceptual, theoretical and empirical questions. 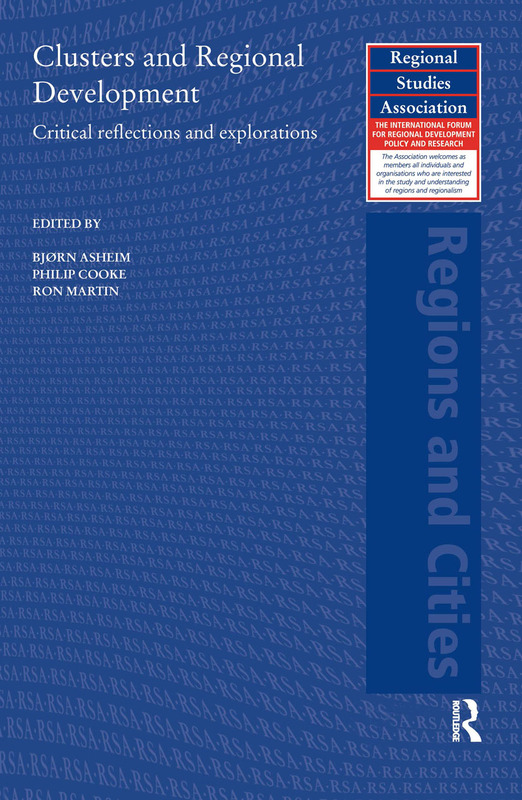 Addressing key questions on the nature, use and effectiveness of cluster models, Clusters and Regional Development provides the missing thorough theoretical and empirical evaluation. Bjorn Asheim is Professor of Economic Geography at the University of Lund, Sweden, and Professor at the Centre of Technology, Innovation, and Culture, University of Oslo, His research interests include international comparisons of creative cities, clusters and regional innovation systems. Ron Martin is Professor of Economic Geography and Fellow of the Cambridge-MIT Institute at the University of Cambridge. His research covers the theory and empirics of regional growth and competitiveness, local labour markets, the geographies of money and finance, and the spatial evolution of the ‘new economy’.